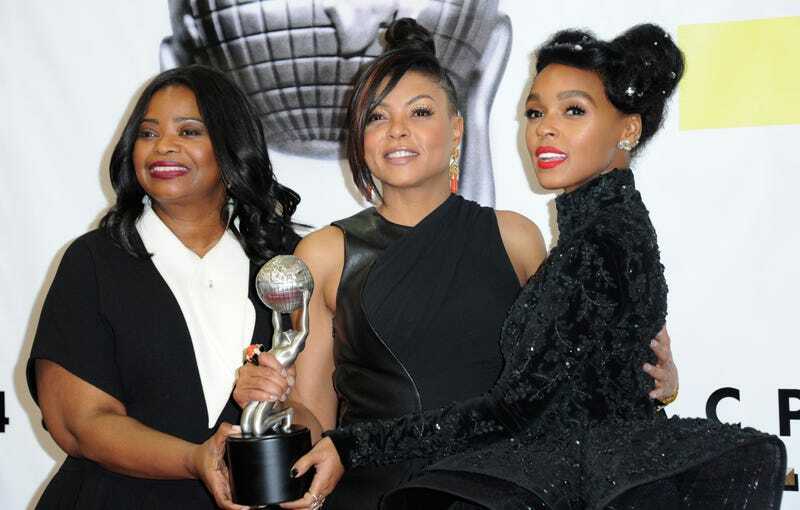 Variety reported on Thursday that the 2016 Oscar-nominated film Hidden Figures—which starred Taraji P. Henson, Janelle Monáe, Octavia Spencer, Kirsten Dunst, and Jim Parsons—is being developed into a possible TV series. Nat Geo is developing a series inspired by the film, which was already once adapted from a book of the same name, by Margot Lee Shetterly, based on the true story of three black female mathematicians and the crucial role they played in the early days of American space exploration. The series is nascent, but we know a few things about it, via Variety. Peter Chernin and Jenno Topping will executive produce—they also executive produced the film—and Nat Geo is, of course, also producing. This exciting development comes in the midst of a pivot at Nat Geo toward scripted TV. The network is about to debut its second season of Genius, in which Antonio Banderas will play Pablo Picasso (in the first season, Geoffrey Rush depicted Albert Einstein). Leonardo DiCaprio is also executive producing a series for them based on Tom Wolfe’s book The Right Stuff. So, yeah, now I’m thinking that a scripted science show not about male genius is a good direction for the network to be heading. Nice job, Nat Geo.